Your favourite bread for a grilled cheese sandwich. The best buns for your burgers. Scones and danishes to satisfy that sweet tooth. All of this and more are waiting for you, baked fresh every morning, at COBS Bread. All of our bread is baked from scratch because we want you and your family to have the best. At the end of the day, all leftovers are donated to local charities. Looking for bread baked fresh from scratch daily? We’re opening bakeries across the country! Watch for new bakeries opening soon or find a bakery open near you. 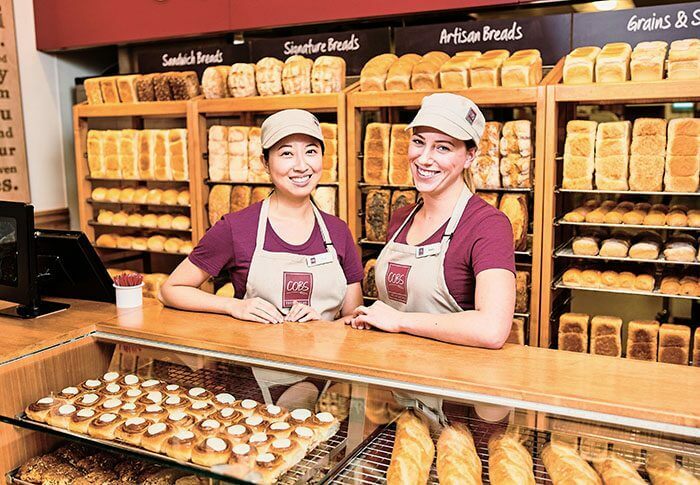 Visit one of our freshly opened bakeries or find a bakery open near you. Check back regularly for a bakery opening in your area soon. Interested in opening a bakery of your own? Search our bakeries for sale to open your own franchise.